A generic drug is a medication created to be the same as an already marketed brand-name drug in dosage form, safety, strength, route of administration, quality, performance characteristics, and intended use. These similarities help to demonstrate bioequivalence, which means that a generic medicine works in the same way and provides the same clinical benefit as its brand-name version. In other words, you can take a generic medicine as an equal substitute for its brand-name counterpart. At-a-glance information on generic medicines, including why they may look different and often cost less than brand-name medicines. Yes. Any generic medicine modeled after a brand-name medicine must perform the same in the body as the brand-name medicine. This standard applies to all generic medicines. A generic medicine is the same as a brand-name medicine in dosage, safety, effectiveness, strength, stability, and quality, as well as in the way it is taken and the way it should be used. Generic medicines use the same active ingredients as brand-name medicines and work the same way, so they have the same risks and benefits as the brand-name medicines. 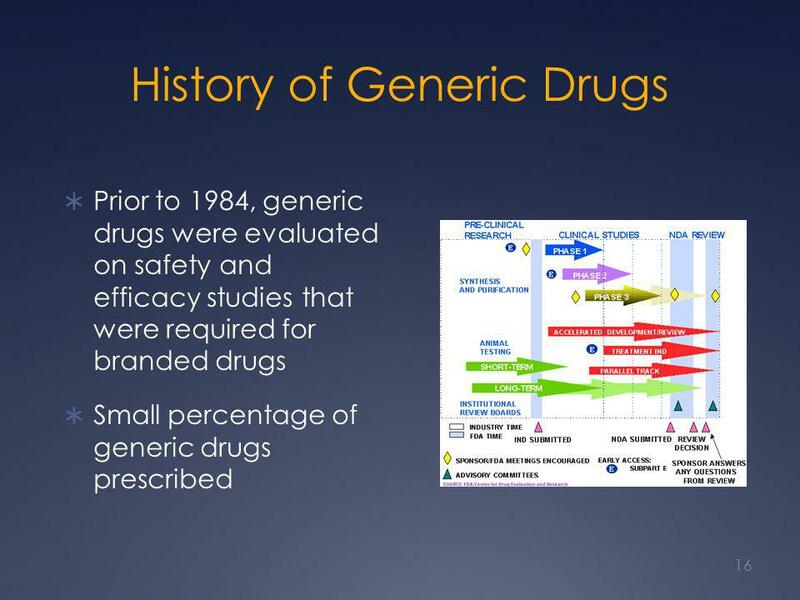 The FDA Generic Drugs Program conducts a rigorous review to make certain generic medicines meet these standards, in addition to conducting 3,500 inspections of manufacturing plants a year and monitoring drug safety after the generic medicine has been approved and brought to market. It is important to note that there will always be a slight, but not medically important, level of natural variability—just as there is for one batch of brand-name medicine compared with the next batch of brand-name product. This variability can and does occur during manufacturing, for both brand-name and generic medicines. When a medicine, generic or brand-name, is mass produced, very small variations in purity, size, strength, and other parameters are permitted. FDA limits how much variability is acceptable. For example, in a very large research study1 comparing generics with brand-name medicines, it was found that there were very small differences (approximately 3.5%) in absorption into the body between generic and the brand-name medicines. Some generics were absorbed slightly more, some slightly less. This amount of difference is expected and acceptable, whether for one batch of brand-name medicine tested against another batch of the same brand, or for a generic tested against a brand-name medicine. As a rule, the difference for the generic-to-brand comparison was about the same as the brand-to-brand comparison. Why do brand-name drugs look different from their generic versions? Trademark laws in the United States do not allow a generic drug or medicine to look exactly like other drugs already on the market. Generic medicines and brand-name medicines share the same active ingredient, but other characteristics, such as colors and flavorings, that do not affect the performance, safety, or effectiveness of the generic medicine, may be different. Why do generic medicines cost less than brand-name medicines? Generic drugs or medicines become available only after a rigorous review by FDA and after a set period of time that the brand-name version has been on the market exclusively. This is because new drugs, like other new products, are usually protected by patents that prohibit others from making and selling copies of the same drug. The patent protects the company’s investment in the drug’s development by giving the company the sole right to sell the drug while the patent is in effect. Because it takes such a long time to bring a new drug to market, this period of exclusivity allows drug companies to recoup the costs associated with bringing a new drug to market. FDA also grants certain periods of marketing exclusivity to brand-name drugs that can prohibit the approval of generic drugs. Once these patents and marketing exclusivities expire (or if the patents are successfully challenged by the generic drug company), the generic drug can be approved. Generic drugs also tend to cost less than their brand-name counterparts because generic drug applicants do not have to repeat animal and clinical (human) studies that were required of the brand-name medicines to demonstrate safety and effectiveness. This is why the application is called an “abbreviated new drug application.” This, together with competition between the brand-name drug and multiple generic drugs, is a large part of the reason generic medicines cost much less. In fact, multiple generic companies are often approved to market a single product; this creates competition in the marketplace, typically resulting in lower prices. The reduction in upfront research costs means that, although generic medicines have the same therapeutic effect as their branded counterparts, they are typically sold at substantial discounts, an estimated 80 to 85% less, compared with the price of the brand-name medicine. According to the IMS Health Institute, generic drugs saved the U.S. healthcare system $1.67 trillion from 2007 to 20162. Generic competition is associated with lower drug prices, with the entry of the second generic competitor being associated with the largest price reduction. What standards must generic medicines meet to receive FDA approval? Drug companies can submit an abbreviated new drug application (ANDA) for approval to market a generic drug that is the same as (or bioequivalent to) the brand-name version. FDA’s Office of Generic Drugs reviews the application to make certain drug companies have demonstrated that the generic medicine can be substituted for the brand-name medicine that it copies. The active ingredient is the same as that of the brand-name drug/innovator drug. The inactive ingredients of the medicine are acceptable. Some differences, which must be shown to have no effect on how the medicine functions, are allowed between the generic and the brand-name version. Generic drug companies must submit evidence that all the ingredients used in their products are acceptable, and FDA must review that evidence. It lasts for at least the same amount of time. Most medicines break down, or deteriorate, over time. Generic drug companies must do months-long “stability tests” to show that their versions last for at least the same amount of time as the brand-name. 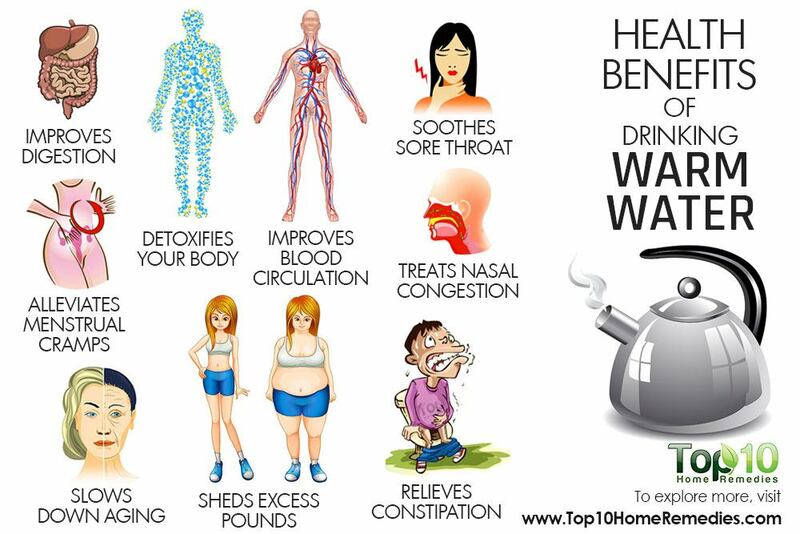 It is manufactured under the same strict standards as the brand-name medicine. It meets the same batch requirements for identity, strength, purity, and quality. The manufacturer is capable of making the medicine correctly and consistently. Generic drug manufacturers must explain how they intend to manufacture the medicine and must provide evidence that each step of the manufacturing process will produce the same result each time. FDA scientists review those procedures, and FDA inspectors go to the generic drug manufacturer’s facility to verify that the manufacturer is capable of making the medicine consistently and to check that the information the manufacturer has submitted to FDA is accurate. Often, different companies are involved (such as one company manufacturing the active ingredient and another company manufacturing the finished medicine). Generic drug manufacturers must produce batches of the medicines they want to market and provide information about the manufacturing of those batches for FDA to review. The container in which the medicine will be shipped and sold is appropriate. The label is the same as the brand-name medicine’s label. The drug information label for the generic medicine should be the same as the brand-name label. One exception is if the brand-name drug is approved for more than one use and that use is protected by patents or exclusivities. A generic medicine can omit the protected use from its labeling and only be approved for a use that is not protected by patents or exclusivities, so long as that removal does not take away information needed for safe use. Labels for generic medicines can also contain certain changes when the drug is manufactured by a different company, such as a different lot number or company name. Relevant patents or exclusivities are addressed. As an incentive to develop new medicines, drug companies are awarded patents and exclusivities that may delay FDA approval of applications for generic medicines. FDA must comply with the delays in approval that the patents and exclusivities impose. The ANDA process does not, however, require the drug applicant to repeat costly animal and clinical research on ingredients or dosage forms already approved for safety and effectiveness. This allows generic medicines to be brought to market more quickly and at lower cost, allowing for increased access to medications by the public. Detailed information on the critical factors the FDA reviews to make sure a generic medicine is as safe and effective as the brand-name version. An interview on how FDA reviews generic medicines with Ted Sherwood, Director, Office of Regulatory Operations, Office of Generic Drugs, Center for Drug Evaluation and Research. Is a generic version of my brand-name medicine available? Use Drugs@FDA, a catalog of FDA-approved drug products, including their drug labeling. First, search by proprietary or “brand” name. Second, search again by the active ingredient name. If other manufacturers are listed besides the brand-name manufacturer in result for searches by the “active ingredient,” they are the generic product manufacturers. For very recent approvals, consult the First Generics List. If you are unable to locate a generic version of your brand-name medicine, it may be that the brand-name medicine is still within the period of time when it has exclusive rights to the marketplace, to allow drug companies to recoup their costs for the initial research and marketing of the brand-name or innovator drug. It is only after both patent and other periods of exclusivity are resolved that FDA can approve generic versions of the medicine. Does FDA monitor side effects or safety issues with generic medicines? Yes. After FDA approves any medicine, including generics, it continues to examine the medicine’s safety. FDA takes several actions to ensure safety and quality before and after a new or generic medicine is marketed. FDA staff continually monitors drug products to make certain the medicines at all levels of the supply chain, from active pharmaceutical ingredients (APIs) to products being sold to consumers, are safe, effective, and high quality. FDA also monitors and investigates reports of negative patient side effects or other reactions. The investigations may lead to changes in how a product (brand-name and generic counterparts) is used or manufactured. Due to limited resources, FDA is unable to perform independent clinical studies, and the agency lacks the regulatory authority to require the generic industry to conduct such studies. FDA will, however, continue to investigate these reports to ensure that it has all the facts about these possible treatment failures and will make recommendations to health care professionals and the public if the need arises. Currently, to better understand what may cause problems with certain formulations if, in fact, they are linked to specific generic products, FDA is encouraging the generic industry to investigate whether, and under what circumstances, such problems occur. Please visit our Drug Quality Sampling and Testing page to learn more about FDA’s efforts to help ensure the regulatory standards for brand-name and generic medicines continue to be met throughout a product’s lifecycle.